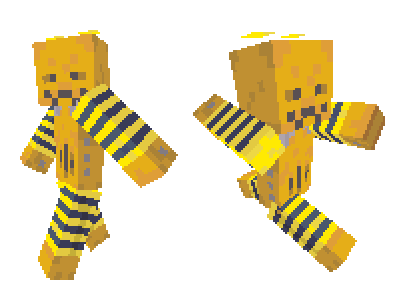 Last week, I made some Beeserker-related Minecraft skins; to be specific, I made them for all the characters who weren't the Beeserker. Today, that crazy bee-powered robot gets its own skin. Click here to download it. And no, there will not be a Scootsie skin.